To start off, I have to admit I have a soft spot for special effects prior to the 60's and 70's. I have always believed that limitations bring out the most creativity out of anyone. Whether it's technological, physical, or even self-imposed, doing things on a "budget," artistically speaking, can lead to great results. This is one of the reasons that I really dug this first movie in the series. Godzilla in this movie is going to be as obstructed from view, and be more evidently a "man in a suit" than any other entry in the series, but it looked amazing to me. I don't think that it's necessarily fair, but given that I watched the special features, it colored a lot of my perception of the movie. I was able to appreciate the ingenuity of what the special effect artists were doing, especially the matte painting artists. They did an amazing job of hiding how many seamlessly blending the foreground with the matte paintings to the point where you couldn't tell that they were there. The special effects supervisors were able to get a lot of great special effects shots of the destruction this way. 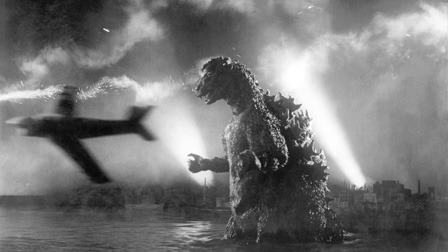 One of my favorite scenes was when the fighter planes were attacking the big guy just off Tokyo Bay. That's probably the one scene where you really get to see the most movement out of Godzilla, and I found the fact that you could still see the strings coming out of the jet fighters pretty charming. And I loved seeing the way that they tried to create the effect of Godzilla powering up to use his atomic breath on Tokyo and the subsequent shots of the people burning. The story itself is actually pretty deep for a movie about a radioactive monster. I know I'm treading on very familiar ground, but there's obviously the allegory of the nuclear fallout that Japan had suffered. 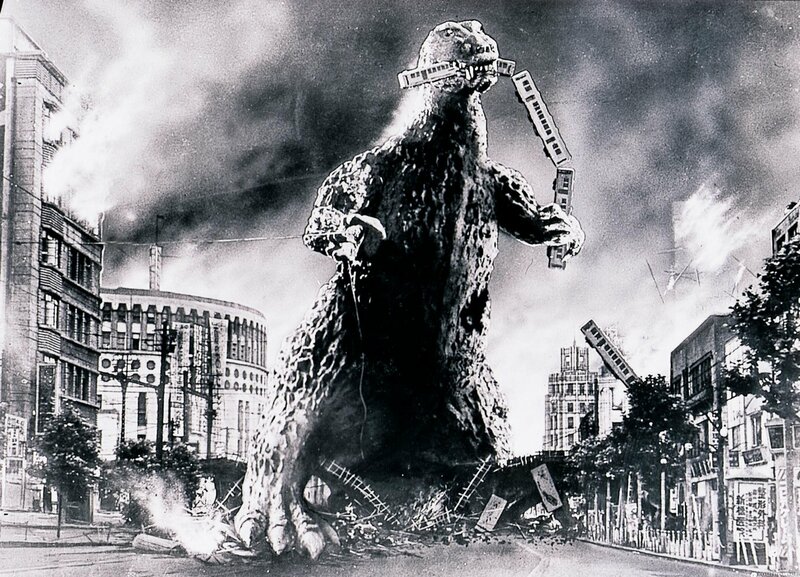 GOJIRA was created as a cautionary tale of the testing and development of nuclear arms. One of the characters even said exactly that "if we continue conducting nuclear tests... it's possible that another Godzilla might appear somewhere in the world again." Yeah, it's a little on the nose, but what do you expect from that time? The movie in its original form depicts all forms Japanese life, from the more rural areas, with their rituals and superstitions, and the big city of Tokyo with its fancy boats and dinner parties. I know that there's a lot more cultural reference that I couldn't understand but that didn't keep me from enjoying the movie. If it weren’t for the feature on the Blu-ray, I wouldn't have known that the entire opening scene of the movie is a fictionalized depiction of what happened to the crew of the Lucky Dragon 5 when the U.S. tested the H-bomb on Bikini Atoll. It actually made some of the radiation sickness scenes a little too gruesome due to their very tragic source material. Beyond that, I wanted to touch on the score of composer Akira Ifukube, the opening track for the movie is probably one of the catchiest I've heard in a long time, and he didn't let up during the movie giving us driving string pieces that conveyed the panic that the citizens of Tokyo were feeling. I really wish there was either a vinyl version of this soundtrack or maybe one that wasn't so damn expensive to track down. 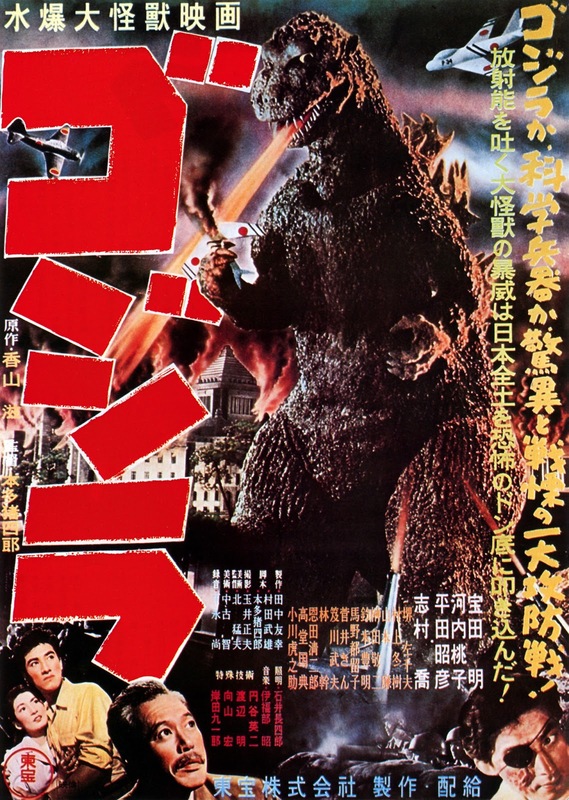 Plot wise, one of the things I enjoyed was the build-up to discovering Godzilla. There was a lot of mystery surrounding him, and the way that the scientists figure out where Godzilla came from was pretty clever writing. But what I thought was very interest sting was the moral dilemma of trying to stop Godzilla. At this point in the movie, the big guy has messed up all of Tokyo, and all of the main characters are trying to figure out a way to stop him. When one of the scientists in the movie, Serizawa, is called out for having a weapon called the Oxygen Destroyer, which could be used to kill Godzilla, he is not so easily persuaded to use it. Serizawa is reluctant because the weapon, which strips away all of the oxygen from the water, would destroy all of the natural life on Tokyo Bay. Not only that, but it's such a destructive force of nature, that he only wants to use it if there would be a way to use the weapon for good or if there is an artifact that could be used against it. At one point he wonders whether he is unleashing a bigger evil in the world than Godzilla. In the end, Serizawa is convinced by his former fiancé and her new guy to use the weapon, but he ends up burning all of the notes on this power WMD before they use it so it doesn't fall into the wrong hands. I'm not sure whether this was the intent of the writers, but considering the fact that yet another Godzilla creature is born in the sequel, it really feels like the Oxygen Destroyer is the secondary atom bomb metaphor in the movie, one slightly more effective than Godzilla. 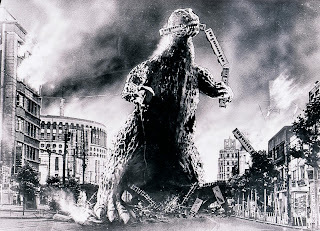 Using a weapon (Oxygen Destroyer/atom bomb) with amazing power to destroy another evil (Godzilla himself/the Nazis originally, then Hiroshima to end the war) is something that the US and other countries felt necessary around the time of the end of WWII. The fact that their creation ended up being something that is still a major issue in world politics more than 60 years later leads me to believe that maybe Serizawa was not so wrong for not wanting to use his Destroyer to kill Godzilla. This was a great beginning to my project, made responsible by the great folks over at Criterion. The picture you see at above is the Blu-ray case with the awesome Godzilla pop-up. Reading up on the history of this movie, it was one of the first pieces of media that exposed American audiences to the Japanese sensibilities. It surely opened up the floodgates of Japanese media for nerds in the decades to come and I can see why it's in the collection. You can pick up the Blu-ray here at Amazon for only $25. 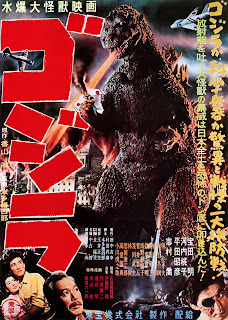 I'll be writing a quick comparison of this movie with GODZILLA, KING OF THE MONSTERS!, the American re-edit later this week. After that, I'll be posting as often as I can about my Godzilla project. For any of you on Twitter, follow me here and search #Godzilla2013 to follow my immediate thoughts.